VENDOR MANAGED INVENTORY (VMI) at BARR is scalable, so you can choose precisely what you’d like Barr to manage: one component, or an entire program. Get your product to Midwestern States within a day. TRANSLOADING Container to Flat-bed Transloading is tailor-made for our facility. Whether machinery, widgets, or steel bars. One container or several hundred. You name it, Barr handles it. LONG TERM Our centralized, convenient hub location is strategically located near major rail ramps. 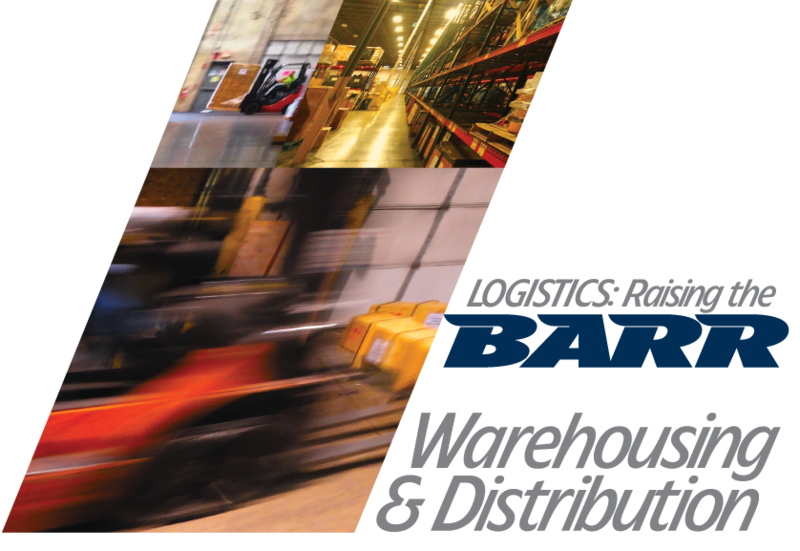 Barr designs specific programs that precisely fit long-term warehousing requirements. Weekly or monthly inventories. Freight segregation, palletization-to-order, special handling, and more. SHORT TERM Smaller shipments or those requiring short storage periods of 60 to 90 days or less are no problem. We recognize that you and your customers have diverse needs, and we immediately adapt to your quick-turn shipment and warehousing requirements. By tapping into our diverse, high quality professional services, you’ll free up time to focus on managing your inventory. That raises the bar for your company.